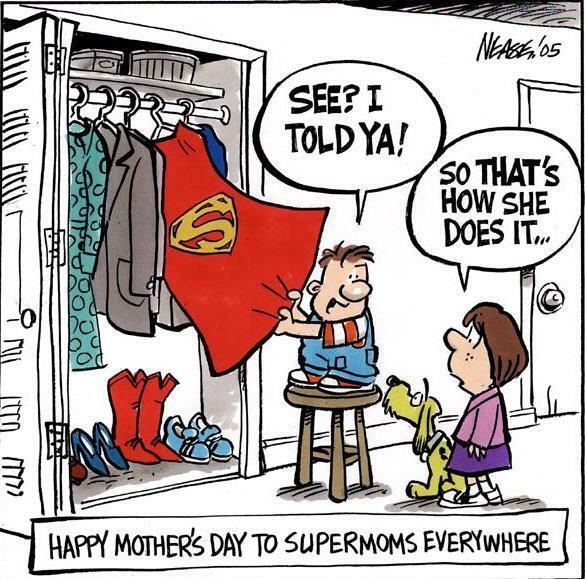 I don't think very many of us FEEL like Supermoms very often. In fact most of the time we feel like the complete OPPOSITE of a Supermom. I am often surprised by how many of my mom-friends feel crappy about themselves and their skills as a mom because when I look at them I see how incredible they are. We are often much harder on ourselves than others are. We think we are the only ones who have dishes in the sink or a pile of laundry or who forgot to send that form back to school. Again. One of the amazing gifts of the online community is learning that we really aren't the only one! It only takes an open admission of your latest imperfection on twitter or Facebook to discover that being human will not get you kicked out of the Supermom club. In fact- it is a requirement to be in the club in the first place! Being a mom is hard work and Walmart wants to celebrate and recognize moms with their Mom of the Year Award. 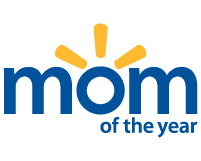 This year Walmart is launching the Mom of the Year Award to help celebrate and recognize the huge contribution moms make as role models and integral members of the family and community. This award will become an annual program to celebrate all that Mom does and shine a light on what is important to her. Nominations will be accepted Mother’s Day (May 13) through July 8, 2012 and can be submitted through www.momoftheyear.ca. They can come from daughters, sons, family members, friends, colleagues or community members. Eight finalists will be selected and notified in mid-August and will be treated to an award celebration weekend in September. The Mom of the Year Award recipient will receive $10,000 for personal use and $100,000 to their cause or charity of choice. The remaining seven finalists will each receive $10,000 for personal use and $10,000 to their cause or charity of choice. When I first heard about the Mom of the Year Award I thought about who I would nominate and the names of dozens of women came to mind. My life is filled with amazing women - both in real life and women I know only on line- who fit the category of Mom of the Year. My list of potential "Moms of the Year" is simply too long to list. I think if you look around you will see that there are a whole lot of potential "Mom of the Year" candidates in your life as well, so how about you take a minute and nominate one or two of them for this fantastic award! Say Happy Mother's Day to a great Mom in your life today- tell them that you SEE the great contribution they are making and that it MATTERS! I guarantee you that every mom would love to hear that someone thinks she belongs in the Mom of the Year category. Glad you are on this campaign too. This is exactly like my list Tara. Foster moms and moms with kids who have special needs. Also I think you and I both know a few great moms who could be on this list.